The Aga Khan Foundation (AKF) is a private, non-denominational, development agency, established by Aga Khan in Switzerland in 1967. The Foundation seeks sustainable solutions to long-term problems of poverty through an integrated, community based, participatory approach that reinforces civil society and respects local culture. The Foundation’s activities are guided by the conviction that self-help brings dignity and self-respect, which in turn helps realise human potential. Branch offices are located in Bangladesh, Canada, India, Kenya, Mozambique, Pakistan, Portugal, Tajikistan, Tanzania, Uganda, the United Kingdom and the United States of America. AKF, although formally a funding agency, involves itself actively in the planning and execution of its projects. Grants are made to non-governmental organisations (NGOs) that share the Foundation’s goals. 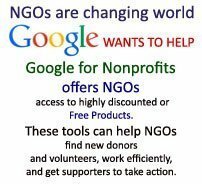 In some cases, where there is no appropriate partner, the Foundation may help to create a new NGO or may manage projects directly. Currently the Foundation funds over one hundred projects in thirteen countries. It has built a reputation for effective grant management within a clearly defined thematic strategy and geographic focus. The Foundation’s programmes are funded with the generous assistance of more than sixty national and international development agencies and of many thousands of individuals and corporate donors. In India, AKF works essentially in three thematic areas. Health, Education, and Rural Development. 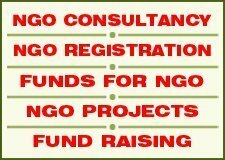 The fourth thematic area aimed at building capacities of local non-governmental and non-profit organisations called NGO Enhancement’ is a new area that the Foundation is venturing into. The Foundation’s implementing partner for rural development is the Aga Khan Rural Support Programme (India) based in Ahmedabad, Gujarat. AKF is at present working in Gujarat, Rajasthan, Maharashtra, A.P., M.P. and Delhi. Strengthening health systems by ensuring better utilisation of existing public sector facilities and constructing quality health care and diagnostic centres. Developing integrated health systems that incorporate reproductive, child survival and environmental health interventions and enable provision of preventive, promotive and curative care. Participatory approaches that build local capacity, enterprise and foster local ownership and management of programmes. Cost-recovery merchanisms such as user fees and health insurance that ensure financial sustainability. Disseminating lessons learned to encourage mainstreaing initiatives and where warranted, changes in health policy. The Aga Khan Foundation’s education programme seeks to promote the holistic development of children during early childhood and school years, by enhancing the quality of stimulation and learning experiences accessible to children from poor families. The Programme for Enrichment of School Level Education (PESLE) was developed to build on lessons that were learnt from small-scale innovations of AKF’s education partners in India and to make a visible impact on the quality of shcool education in the larger government system, with a particular focus on marginalised and disadvantaged groups. The school improvement programme’ is being implemented over a period of seven and one-half years from 1999 to 2006, supporting NGO innovation in the states of Andhra Pradesh, Delhi, Gujarat, Maharashtra, and Rajasthan. 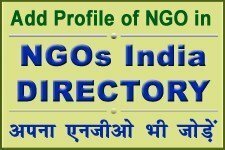 The programme includes provisions for direct interventions by implementing NGOs as well as cross cuting activities of information, documentation, research, and policy advocacy. It works through a three-pronged strategy. NGO partners are first expected to demonstrate and consoli-date their approaches and outputs for providing quality education in a critical mass of schools. At the second stage, NGOs scale up their level of intervention and empirically validate successful strategies by replicating tried strategies, and assessing the comparative advantages of different approaches. At the final stage, NGO partners enable the larger system of education to adopt successful approaches through informed policy advocacy supported by building capacities of key functionaries in the system. Supporting interventions that promote rural livelihoods and demonstrate community based natural resource management approaches through effective and accountable community institutions allowing rural communities to make informed decisions. Contributing to the creation of an enabling environment for rural livelihoods through the improvement of national and state-level practices and policies. The rural development portfolio was initiated with the establishment of the AKF rural support model, established in India as the Aga Khan Rural Support Programme (India). The beneficiaries of the Foundation’s programme in rural development in India are primarily small and marginal farmer families (74%), women and landless (26%). Most of these families reside in remote villages of Gujarat, Madhya Pradesh, Maharashtra and Rajasthan. Tribals constitute 56% and minorities are 20% of the total population. The Aga Khan Foundation is a member of the Aga Khan Development Network (AKDN) a group of agencies working to improve living conditions and opportunities in specific regions of the developing world. Their common goal is to build institutions and programmes that can respond to the challenges of social, economic and cultural change and to help the poor achieve a level of self-reliance sufficient to plan their own livelihoods. AKDN agencies have a sizeable presence in India, where their mandates span the social development arena and a joint stock banking company, the Development Credit Bank. Areas of social development interventions include education, health, rural development, water and sanitation and culture. The Aga Khan Fund for Economic Development (AKFED), with its affiliates, Tourism Promotion Services, Industrial Promotion Services and Financial Services, seeks to strengthen the role of the private sector in developing countries by supporting private sector initiatives in the development process. The Fund and the Foundation also encourage government policies that foster what His Highness the Aga Khan first called an “enabling environment” of favourable legislative and fiscal structures and to promote indigenous philanthropy. School improvement initiatives undertaken by Aga Khan Education service, India (AKES.I) cater to approximately 37,000 beneficiaries across Gujarat, Maharashtra and Andhra pradesh. Apart from managing eight schools, 32 day care centers, 14 Rural Primary Education Centres and one hostel; activities also include educational research and career guidance. AKES,1 is also a core constituent of the Foundation’s education programme. Aga Khan Health Service, India including the 118 bed multi-specially, acute-care Prince Aly Khan Hospital in Mumbai (among the first hospitals in Maharashtra to be ISO 9002 certified), drive the health initiatives of AKDN in India. A total of 20 health centres, two diagnostic centres and a pathology laboratory are serving communities to provide and improve access to quality health care. Aga Khan Planning and Building Service, India is a actively involved with communities in Gujarat where it works to improve the built environment, particularly housing design and construction, village planning, natural hazard mitigation, environmental sanitation, and water supply. These goals are achieved through the provision of material and technical assistance and construction management services in both rural and urban areas. The Aga Khan Trust for Culture (AKTC) co-ordinates the Network’s cultural activities. Its programmes include The Aga Khan Award for Architecture, the Historic Cities Programme, the Education and Culture Programme and the Aga Khan Humanities Programme. In the first ever endeavour of its kind in India, AKTC is collaborating with the Archaeological Survey of India to’revitalise’ the historic gardens of Humayun’s Tomb in New Delhi. The USD 650,000 project has. among other things, restored pathways, planted saplings favoured by the Mughals, introduced a rain water harvesting system and improved access to the monument for visitors. In addition, water is expected to flow once again in the elaborate network of narrow water channels surrounding the monument in 2003. Focus humanitarian Assistance or FOCUS is an affiliate of the AKDN. It is an international emergency response agency that complements the provision of relief and support services during and following natural and man-made crises, primarily in Asia and Africa. An India office was established in 2002, following the 2001 earthquake in Gujarat. The Aga Khan Foundation provides a limited number of scholarships each year for postgraduate studies to outstanding students from developing countries who have no other means of financing their studies. Scholarships are awarded on a 50% grant : 50% loan basis through a competitive application process once a year in June. The Foundation gives priority to requests for Master’s level courses but is also willing to consider applications for PhD programmes, when doctoral degrees are necessary for the career objectives of the student. Requests will also be considered for travel and study awards for PhD students doing their research in Third World countries on topics judged to be of interest to the Aga Khan Development Network. Applications for short-term courses are not considered; neither are applications from students who have already started their course of study. Financial Assistance. The Foundation assists students with tuition fees and living expenses only. The cost of travel is not included in AKF scholarships. Applicants are requested to make every effort to obtain funding from other sources as well, so that the amount requested from the Foundation can be reduced to a minimum. Preference is given to those who have been able to secure some funding from alternative sources. Loan Conditions. Half of the scholarship amount is considered as a loan, which must be reimbursed with an annual service charge of 5%. A guarantor is required to co-sign the loan agreement. The payback period is five years, starting six months after the study period funded by the Aga Khan Foundation. Application Procedures. The application procedures of AKF’s International Scholarship Programme are decentralised. Students may obtain application forms as a January 1st each year from AKF offices or Aga Khan Education Services / Boards in their countries of current residence. Completed applications should be returned to the agency from which the form was obtained, or to the address typed on the front of the form. They should not be sent to Geneva. All applications must be submitted on forms obtained from an AKF or AKES/B office (not photocopied). The deadline for submission of applications is March 31. The annual Scholarship Selection Meeting takes place in late June and the Aga Khan Foundation notifies all students of the outcome of their application in the first week of July.